Sunnyvale, CA is located in the heart of Silicon Valley, to the North of Cupertino. Sunnyvale is centrally located with easy access to every conceivable amenity. 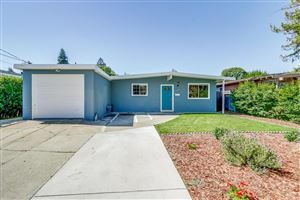 Sunnyvale Real Estate market consists of a diverse community of buyers and sellers spread over a large area of neighborhoods in close proximity to some of the world's largest Silicon Valley employers and innovative startups. Sunnyvale has a good number of high quality schools with scores growing by leaps and bounds each year. As a real estate agent and resident of Bay Area especially Sunnyvale for over 17 years, I have indepth knowledge of local real estate market dynamics and trends. Sunnyvale Real Estate market comprises of zip codes covering 94087, 94086, 94085, and 94089. Contact me for neighborhood pricing trends, school information and all other questions with respect to living and lifestyle in Sunnyvale. © 2019 MLSListings Inc. All rights reserved. Updated Apr 25, 2019 11:48:pm. Information deemed to be reliable but not guaranteed. The data relating to real estate for sale on this website comes in part from the Internet Data Exchange Program of the MLSListingsTM MLS.